October | 2013 | Sonic Smash-Music! The Parisian composer of retro electronic dance music known as Analog 80 has released his long-awaited EP record album, titled, “The Dream Box.” The record is comprised of six original tracks for an approximate total listening time of 20 minutes. It has been released on the Analog Sounds Records music label, and was mastered by Nick Moon at Tone Proper in the United States of America. “The Dream Box” is Analog 80’s global debut record and is stamped with an official release date of 3 November 2013, the anniversary of the first living being to enter orbit in space, the dog, Laika (‘laika’ is Russian for ‘barker’). Analog 80 cites as main artistic influences such seminal and popular artists of the electronica genre as Kraftwerk, Vangelis, Jean Michel Jarre, Depeche Mode, Kavinsky, Daft Punk, Arnaud Rebotini, and Air. Appropriately, his characteristic retro sound and style evinces many of the attributes and qualities of these composers, though with subtle contemporary additions that make his music all his own. His mellow groove is also strongly immersed in the French retro-electronic style that created such acts as Air and Arnaud Rebotini, and is quickly proving himself to be a worthy addendum to their company. Analog 80 describes his music as showing “passion for refined and pure, clean sounds,” and as having “simple and efficient melodies.” He explains the theme of his “Dream Box” EP summarily. Analog’s Soundcloud page has garnered hundreds of followers and many, many thousands of plays. He is currently living, playing and recording in Brussels, Belgium. 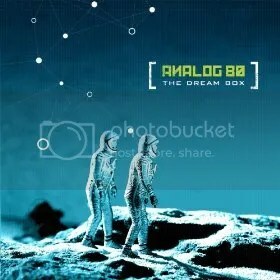 “The Dream Box” EP by Analog 80 is available online worldwide beginning 3 November 2013. Red Stone Sinners is Myles Mitchell on vocals and guitar, Dave Guilfoyle on bass guitar, and Buzz Brown on drums and percussion. They cite as main artistic influences such legendary performers as David Bowie, AC/DC, The Rolling Stones, The Pogues, Camille O’Sullivan, John Butler Trio, PJ Harvey, Fat Freddies Drop, Swamp Thing, and Nick Cave (order faithfully preserved). The Red Stone Sinners formed in 2013 and left Australia for Los Angeles, CA not long after. After playing the LA scene for a season, they toured the west coast of the United States to Alaska. They find themselves today in Anchorage, a city with a thrumming music scene most Americans do not have the opportunity to experience. The Sinners are renowned for giving a truly genuine live experience unlike that provided by most rock players in any scene today, and their steadily growing, cult fan base grows has been stalwart and intensely watching their every move since summer of 2013. This latest release is certain to prove the catalyst for an even larger Red Stone Sinners explosion. “Learning to Sin” by the Red Stone Sinners is available online worldwide beginning 3 November 2013. The French composer and producer of electronic dance music known only as Dirt (often stylized DIRT) has released his debut single, “Crash Test,” from the three-song EP record album of the same name. Both the single and the upcoming EP disc have been released on the Black Jackal Records music label. 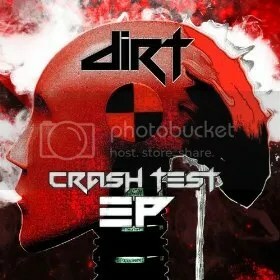 “Crash Test” by Dirt is a high-octane, energetic and jubilant dance track fashioned in the modern style called dubstep. Fans of such acts as Skrillex and Deadmau5 are certain to be pleased with this first offering from this exciting new EDM artist from Europe. Dirt cites as main artistic influences such acts as Datsik, Knife Party, Zomboy, and Skrillex, among others. Intuitively, his sound is not far from the general feel and tone for these fine musicians and has many of the attributes and qualities that characterize the dubstep tone. His beats are hard and upbeat, his bass is loud and low, and his melody lines are populated with digital sounds and samples not unlike those commonly found in vintage video games by Atari and Nintendo; the resultant atmosphere is one of colorful imagination, rambunctiousness, and absolute fun. Dirt credits some of his signature style to the program with which he composes his dubstep, Steinberg Cubase. Cubase was most popular in the early 2000s, but was quickly superceded by FL Studio and Ableton Live when the dubstep subculture gained traction with music listeners. Dirt started his musical career at a very early age. Having switched to writing EDM, Dirt has a very simple goal with his music. “Crash Test” by Dirt is available online worldwide beginning 2 November 2013. Get in early, dubstep fans. 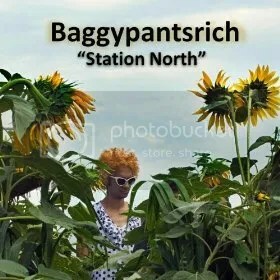 The rock musician from Baltimore known as Baggypantsrich has released his new LP album, titled, “Station North.” The album is comprised of 10 original tracks for an approximate total playing time of 50 minutes, making for a comprehensive introduction to this prolific and wildly creative emerging artist. “Station North” is the latest in Baggypantsrich’s studio repertoire which includes the “drained” EP, the critically lauded “Kabazzah” LP, and his debut full-length record album, “Zebra.” A modern alternative rock record with a pop-rock face, a punk-rock heart and a poetic soul, “Station North” is an engaging and whimsical reminder that somewhere out there, real art is happening all the time. Baggypantsrich cites as main artistic influences an eclectic brew of intellectual rebels and natural talents, such as David Bowie, Nirvana, Ween, the Beatles, the Dan Meyer Choir, Edith Piaf, and Michel Polnareff. This amalgam lends more insight into BPR’s style and studio production sensibilities than similar lists might for other artists. He sings like an American Bowie, plays guitar like a contemporary Cobain, and writes music like a member of Ween. The four remaining legends seem to inform his artistic values, lending each track a catchiness that makes them undeniable. Like the work of the Velvet Underground, many of BPR’s songs are so well written that they could be recorded through a cellular phone and still sound remarkable. “Station North” by Baggypantsrich is available online worldwide. Get in early. Very early. 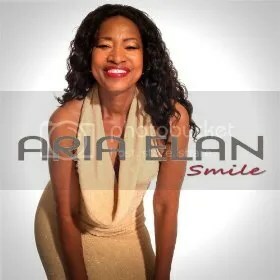 With an elegant, unique blend of “feel-good” soul and jazz, Aria takes you on a journey from radiant positivity, “Smile” to heart-wrenching melodic storytelling, “I won’t stop lovin’ you”. Both produced by Karl Marrett of Marrett Productions (Arise, Debra Webb, Stephanie Mullins). Other notables are “Butterflies” by veteran producer Phred Mosbey of Nu View Media (New Edition, Bell Biv Devoe, Johnny Gill) and romantic “When love is right” by Karl Marrett. Renowned drummer Herman Matthews (Robin Thicke, George Duke, Everette Harp) is showcased on “A Fresh Start”. “Passion” and “I am Reborn”. …and follow hashtag #ariaSmile on Instagram, Facebook and Twitter. Be sure to catch her official music video for “Smile” on YouTube in November. The international composer of electronic dance music known as DJ Narc (often stylized NARC) has released his latest single, titled, “Narcharmonic Orchestra.” The single is an upbeat, energetic house music offering that returns to the fundamental elements of music. It is DJ Narc’s official debut single. Its straightforward, eclectic combination of instruments communicates an undeniable groove, infectious melodies, and an intriguing chord progression for a start-to-finish dance track that is guaranteed to keep parties pumping. 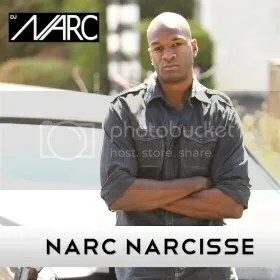 DJ Narc was born in New York City to Haitian parents but grew up in Paris, France. He moved to Southern California after spending two years at Pennsylvania’s Lock Haven University. His typical set is varied and on different nights includes tracks from the electronic dance music genre, top-40, pop, hip hop, funk, and still other categories. His summer 2013 tour saw him spinning in Los Angeles, New York, Scotland, Greece, London and Paris. He is fluent in French and English, and gets by in Spanish and Haitian creole. “Narcharmonic Orchestra” by DJ Narc is available online worldwide in November, 2013. The purveyor of uplifting music known as Byrne Elliott has released his latest music video and single, titled, “Christmas Children.” It has been released on his popular Byrne Music record label. The video is an animated seasonal feature with a folk-style narrative and a message of love for the people of the world: that there is hope for everyone no matter how grim circumstances might seem, so long as there are people like the Christmas Children to bring friendship and compassion to every corner of Earth. Byrne Elliott is a composer, storyteller, executive producer and entrepreneur in the Pacific Northwest. He works with highly talented singers, musicians, recording producers, recording engineers and animation companies to bring forth music that fills the hearts and minds of listeners all over the world. He cites as main artistic influences the Beatles and Ludwig van Beethoven. His musical career began as an avid music listener, and moved into songwriting after he spent time studying the theory behind musical composition. “Christmas Children were taken from this world because of heartbreaking events. From heaven, they see their families struggling to deal with their loss. They also see other folks saddened by poverty, broken homes, crime and war. The Christmas Children believe a parade will uplift the spirits of the children and adults around the world by making them aware that hope and beauty are still present just outside their front doors. “Christmas Children reach out to the world’s children because they still have the purity, joy, optimism and unconditional love needed to change the world. By getting them to join the parade, they are able to bring the message of Christmas to downtrodden people. Once in the parade, the Christmas spirit touches everyone. The path of the parade gives the people an insight into the wonderful journey that awaits them in life and in heaven. 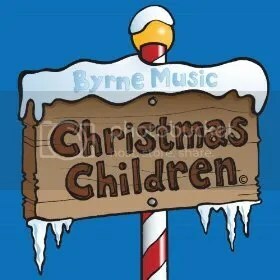 “Christmas Children” by Byrne Music is available online worldwide for viewing, listening, and download beginning 1 November 2013.